Since starting my fitness journey in the beginning of this year, I’ve been pretty good about staying on track. I will admit, though, the summer was a little hard since there’s so much fun to be had and life to be enjoyed. I foresee the same for the holiday season. With so much great food, drinks and festivities — not to mention the cold, working out is probably in the back of your mind. 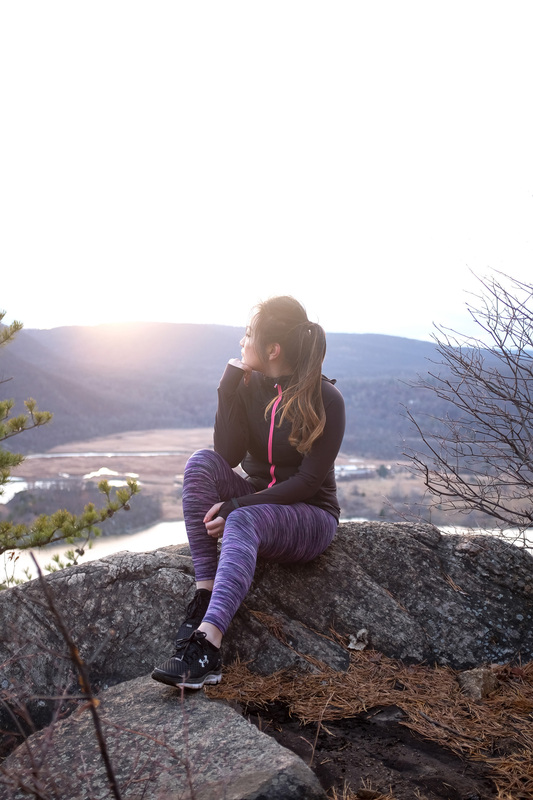 So, in order to stay in it for the long haul, I’ve found some ways that keeps me staying active. This is my favorite way to keep moving. 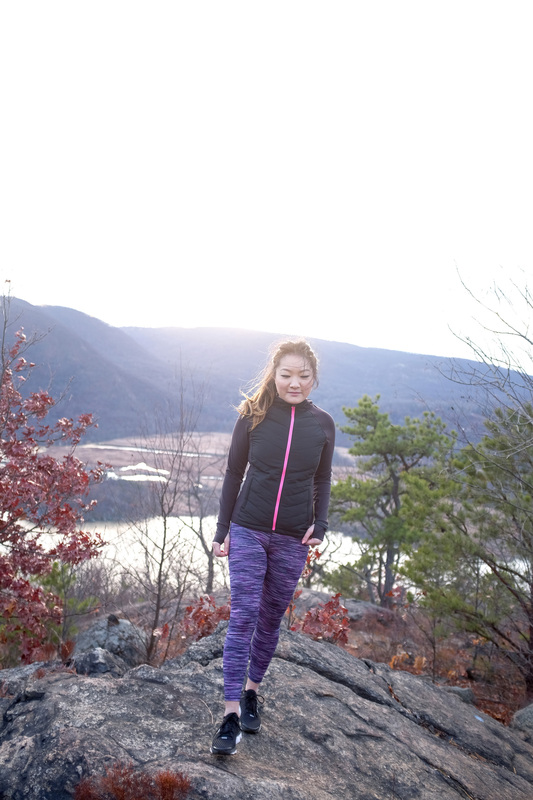 Go for a scenic hike (or walk). Breathing in the fresh air in a new locale stimulates not only your body but mind. 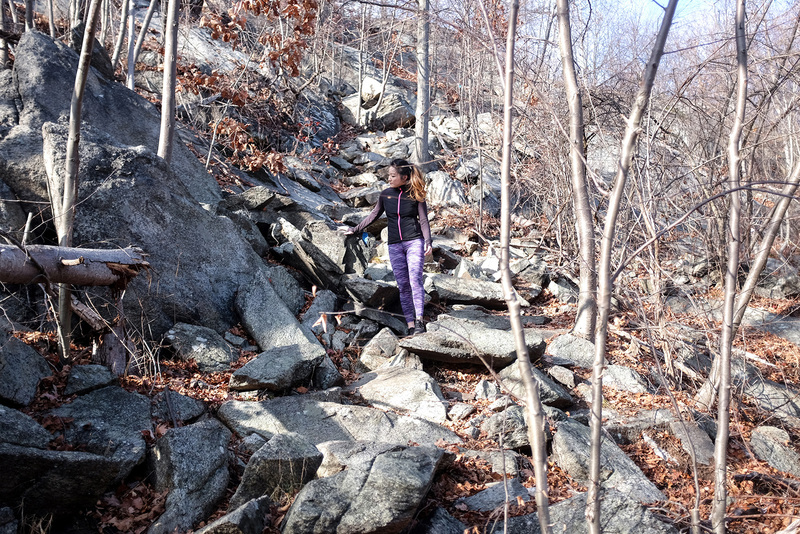 I love taking on a challenging hike in the Hudson Valley. You’d feel so accomplished once you’ve reached the top and the views cannot be beat. 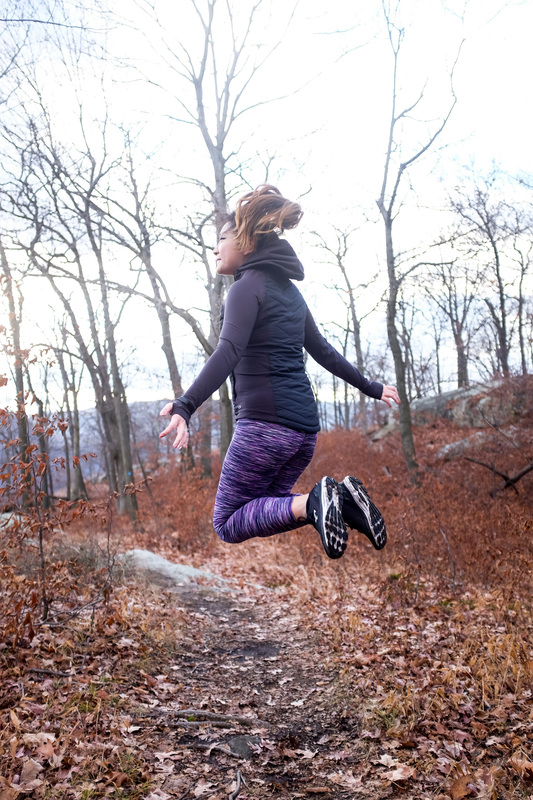 Now that it’s chillier, the air is invigorating and the activity doesn’t feel as strenuous. Also, ski season is starting up. I can’t wait to hit the slopes soon! I’ve never felt better than when I have my look together. When you look good, you have the confidence and motivation to sweat it out! I find that with the right fitness outfit, I can take on any workout. Personally, I love performance pieces that still look cute. 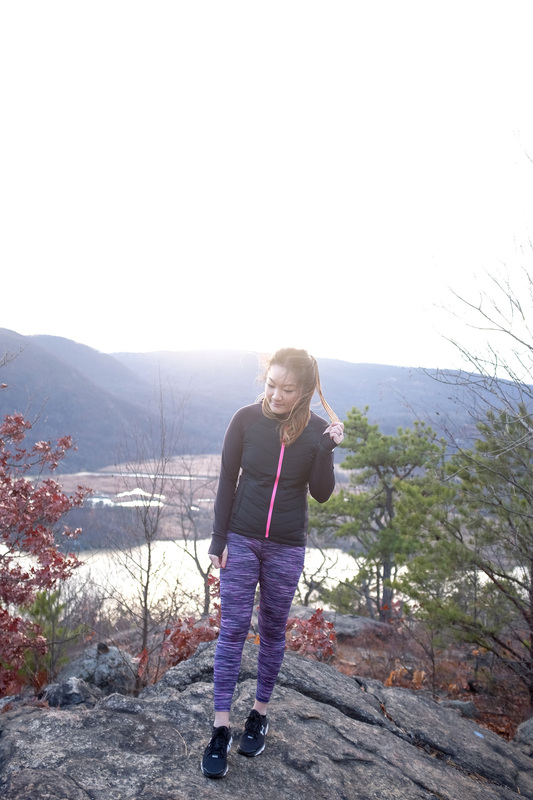 Here, I went hiking in my new Gap Factory GapFit outfit. I couldn’t wait to wear it out and try a new trail, even thought it was a bit on the tougher side. To me, getting new active gear is the perfect excuse to go work out and show it off. I’m actually pretty obsessed with this new quilted jacket. It was one the main reasons I wanted to do an outdoor activity. Now I just wear it every time I go to the gym (instead of my regular jacket). It just completes the look so well! I love wearing my fitness tracker (Fitbit). It keeps me accountable. Walking is still an exercise to me. There are plenty of info about how an extended walk can do wonders for your body’s health. I believe that every little bit counts and that extra mile you’ve walked will keep you in the game in the long run. 10,000 steps is only the baseline, I always try to go beyond my step-goal. Plus, I just upgraded my tracker and got a rose gold bracelet band to go with it. I get so many compliments… remember what I said about look good, feel good?! Making a plan ahead of time or going to a class with a friend helps so much. It’s a commitment either way, and you’re more likely to go when it’s in your calendar. I love having workout buddies, especially if it’s old friends. I’m more eager to go since I see my favorite people and catch up afterwards. I don’t know about you but, holiday themed classes really gets me moving! Whether it was a Turkey Trot or a Reindeer run, I love a festive sweat. Not to mention, holiday music in spin classes are the best. You get to work out and celebrate the holidays all in one go! So, those are a few tips I find that help me keep off the extra holiday weight and stay in shape. There’s nothing worse than waking up in January and wondering what happened. Thanks to Gap Factory for sponsoring this post! Be sure to check out all the new workout gear online and in-stores.